As of early 2019, 32% of the internet is running on WordPress built sites. But while WordPress built its success on its ease of use, it has also garnered heavy criticism for it security (when site owners don’t update their plugins), resource-intensive plug-ins and stiff web design driven by themes. While all platforms are prone to the same challenges, CraftCMS aims to help developers reclaim and control the web design process, and for that point alone the company is getting lots of attention and are becoming a viable alternative to WordPress. Kelly, who is CEO and President of CraftCMS, started the company in 2011 and launched its first version of the product in 2013 known as Craft 1.0. The software is now at version 3.0. 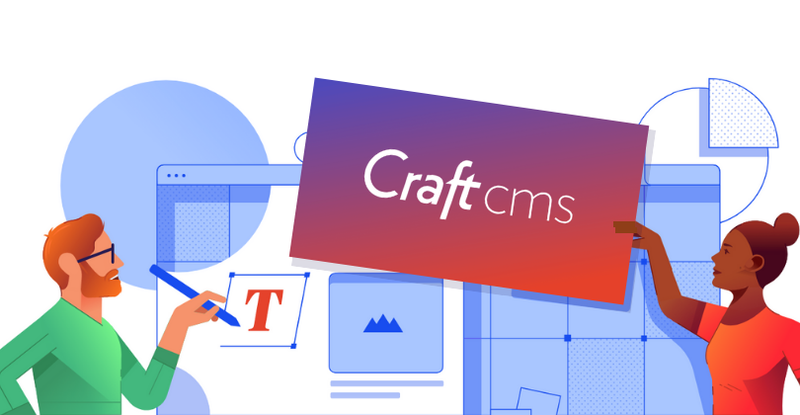 After many years spent working with content management systems, Kelly states he wanted “to build…our own CMS that did things differently under the hood.” While that seems like an understatement, CraftCMS has done just that. The response to Craft CMS from developers, web professionals, their clients, and the business community has been astoundingly positive. Awards like Best CMS for SMB, Best CMS for Developers, and Best WordPress Alternative further solidifies CraftCMS’s place as a rising star in the CMS world. For Craft, these are the people for who the company built its CMS. In fact, Craft specifically targets developers responsible for building complex websites for companies with large budgets from $35,000 to $500,000. While market penetration is nothing like WordPress’, 40,000 websites have been built using CraftCMS, some of which were for major retailers like Oakley, Ikea, and Netflix. Some other sites built with Craft CMS are Barefoot Contessa, Grill’d, Samuelson, Flipbox Digital, Mixmag Media, Vector Media, and Lemonade. Craft has the benefit of being the relative new kid on the block (2012) built by people who have done the hard yards building the best plugins for another great CMS we use (ExpressionEngine). Being a relatively younger product (but now mature enough to be at version 3) it allows them to not have to deal with the same level of legacy as WordPress. While there is a massive WordPress community to lean on, it creates a bit of a wild-west when it comes to developers and plug-ins.The maintenance and security problems that come with it’s legacy and architecture cannot be understated. WordPress originated as a blogging platform (and a very good one at that), but Craft wins by taking a content first approach and not leaning on the theme mentality of WordPress. In our experience Craft CMS is loved by all: designers, developers and editors alike. It also has a first-party eCommerce option – very handy. The primary reason is that CraftCMS gives developers and web professionals control over websites they build. But look a little deeper and it’s the abundance of features that come with the CMS that wins over its users. Key tools in CraftCMS like allowing developers to write and use their own HTML, custom templates, the ability to manage multiple sites with one Craft installation, complete control over the content and categories, regular releases and bug fixes, live preview during the website build, and hundreds of Craft mediated plug-ins managed through the control panel of the CMS illustrate how Craft supports and favors developers. To help developers get up and running quickly with the platform, CraftCMS have developed an online course called CraftQuest with unlimited access to video-based learning. While CraftCMS’s has elements of WordPress, it is definitely not a site builder and requires more than a few mouse clicks to have a functioning website. But that’s just a basic overview. Here are the major reasons CraftCMS is a viable alternative to WordPress. First, there’s the issue of plug-ins. WordPress allows and uses third-party, pre-packaged plug-ins and themes. The problem is that a lot of them are not updated and, in the long run, may cause more problems than they solve. This is especially important from a security perspective. Craft has its own plug-in marketplace it regulates and can be managed with the control panel of the CMS. That means better security overall. For a recurring yearly fee after the first year (depending on the license purchased), Craft supports one-click updates for its large plug-in library. Then there are themes. Craft doesn’t use them and believes in a content-first approach to website building. WordPress comes with licensed themes and plug-ins that don’t offer much visual variation. Add to the fact that WordPress was created as a blogging platform for users who don’t know how to code and where page design is probably a secondary consideration. Although WordPress is free to download, install, and use, other costs can escalate costs quickly. The cost of premium plugins can add up. CraftCMS starts with a free license version called “Solo” and it is also free to download here. It comes with all the core components and a single admin account so you can experiment to see if CraftCMS is right for your needs. The next step up is the “Pro” version for a client or development team, which is listed at $299.00 per project. This version comes with unlimited user accounts, system branding, developer support, and free updates for a year, then $59.00 a year after that. There is also an “Enterprise” option that doesn’t list any price structure, but the benefits are SLA contracts, procurement, custom development, and custom licensing. If your company is interested in e-commerce, there are two license options: “Lite” and “Pro.” The “Lite” version is $199 per project with a year of updates, $39 a year after that. It includes products, subscription, custom payment gateways, and custom checkout process. The “Pro” version includes everything the “Lite” version has, including taxes and shipping, shopping cart, multi-step checkout flow, and sales and discounts for $999 per project with a year of updates, $199 a year after that. CraftCMS is definitely a rising star in the CMS world and may, at some point, give WordPress some competition. It is well-liked by developers, web professionals, and clients. With CraftCMS already at version 3.0, it will be interesting to see what the future brings for the company of five employees. Price of their product looks prohibitive for smaller businesses, compared to WordPress, but that’s a strategy to attract well-resourced organisations. For more information about CraftCMS visit their website: https://craftcms.com.